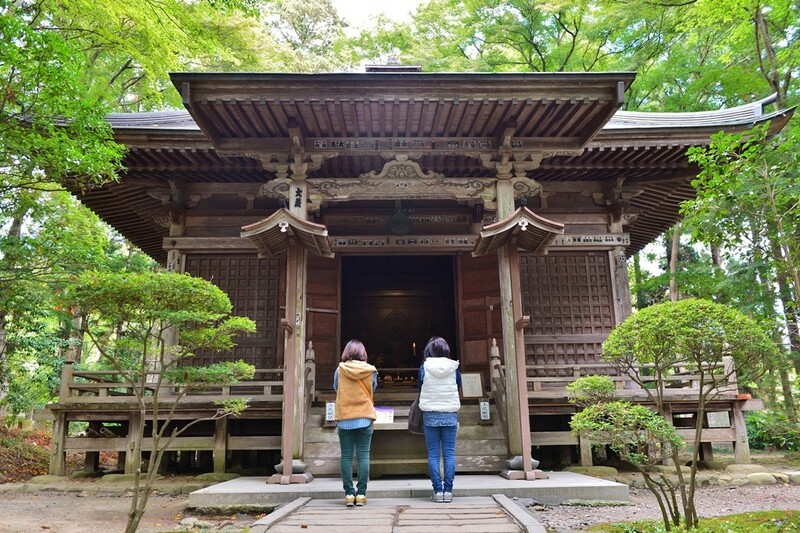 2016 is a commemorative year for Chusonji Temple and Hiraizumi; it has been nearly 5 years since this location was designated as a UNESCO World Heritage Site. 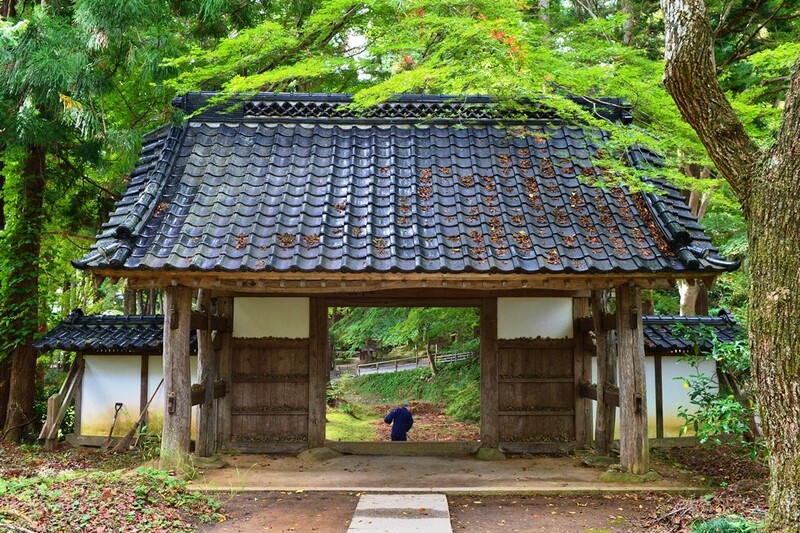 Established by the Fujiwara clan, rulers of northern Japan during the Heian Period (794 – 1185), Hiraizumi is Tohoku’s first World Heritage Site. Before the establishment of Chusonji Temple, there is no historical or archaeological evidence of Buddhist activity in the area of Hiraizumi. 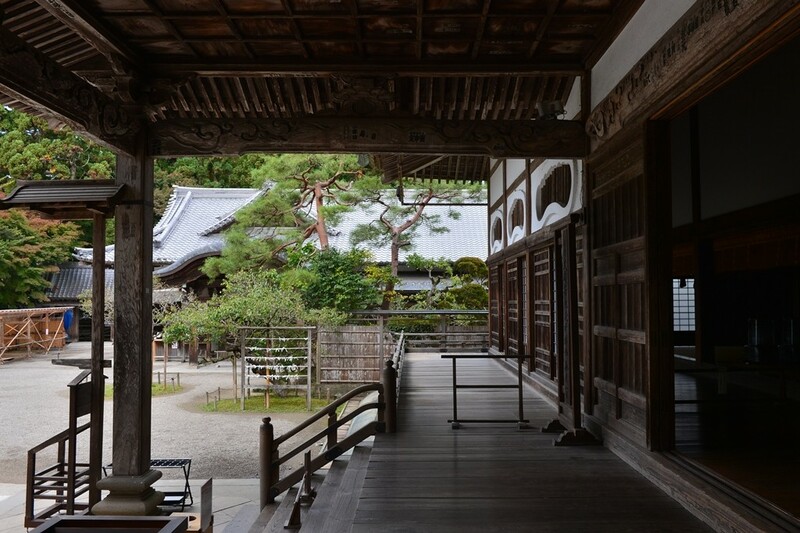 UNESCO has recognized this area as a rare example of distinctive, local culture developing on such a high level in ancient and medieval times, especially as the contemporary cultural center of Japan was Kyoto, far from Tohoku Hiraizumi. 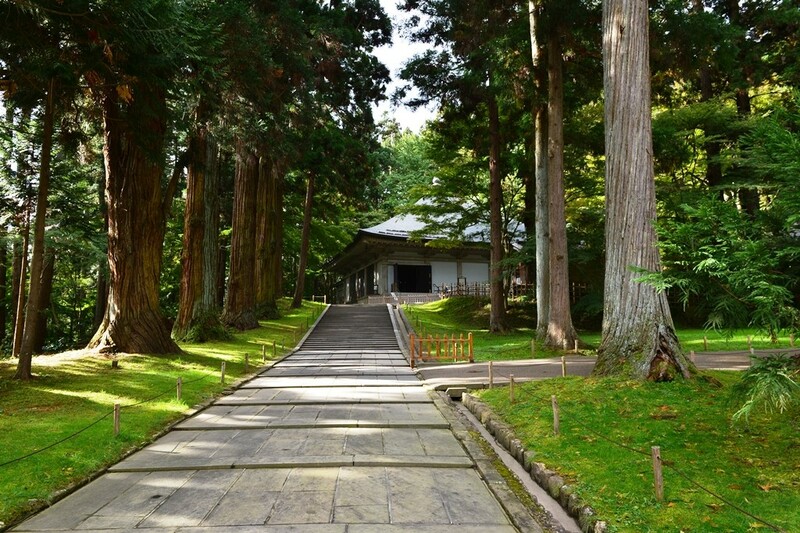 Located in the Northern Part of Japan, within the beautiful Iwate Prefecture, the temple complex lies peacefully by the countryside surrounded by tall forests. Chusonji was first established in 850 as a temple of the Tendai sect of Buddhism according to the temple’s history. 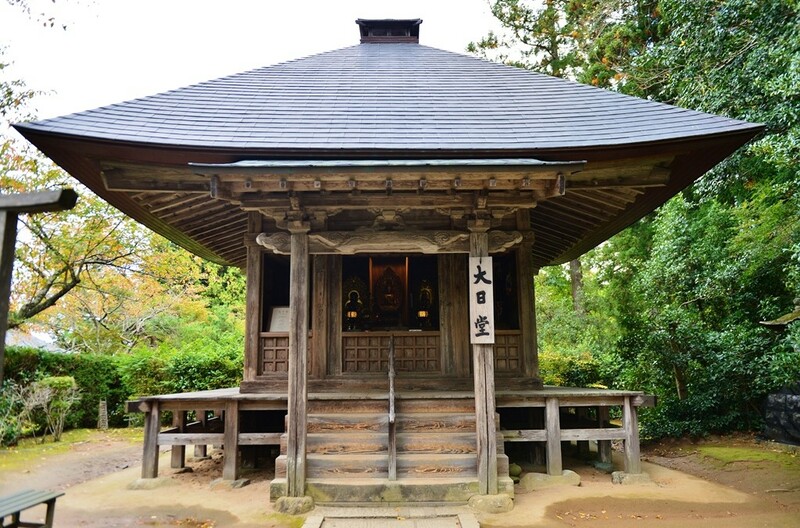 The temple’s historical recognition starts from early 12th century, when the northern branch of the Fujiwara clan moved their base to Hiraizumi after years and years of war. After spending the majority of his early life in a state at war with central powers, Fujiwara no Kiyohara had lived a life struck by the grief of war and battle. Utterly exhausted and dejected by the war, Fujiwara no Kiyohira began building a complex of halls and pagodas to pacify and commemorate all the warriors, civilians, friends, and family who were lost to battle. At its peak, the temple complex consisted of a large network of buildings, however, with the fall of the Fujiwara clan at the end of the 12th century, Chusonji suffered from instability caused by poor maintenance. Today, only two buildings from that period remain intact, and among them is the most significant and spectacular, “Konjikido.” Konjikido, meaning “Golden Hall” in Japanese is a mausoleum dedicated to the leaders of the Fujiwara clan, containing the mummified remains of the Fujiwara clan. 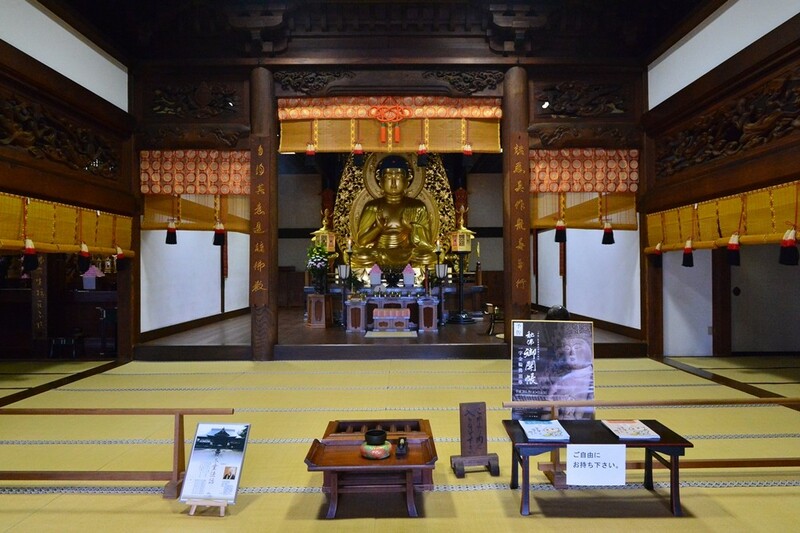 Similar to Kyoto’s famous Golden Pavilion “Kinkakuji,” Konjikido is a hall completely coated with gold. It dates back to 1124 and stands inside another building for protection. 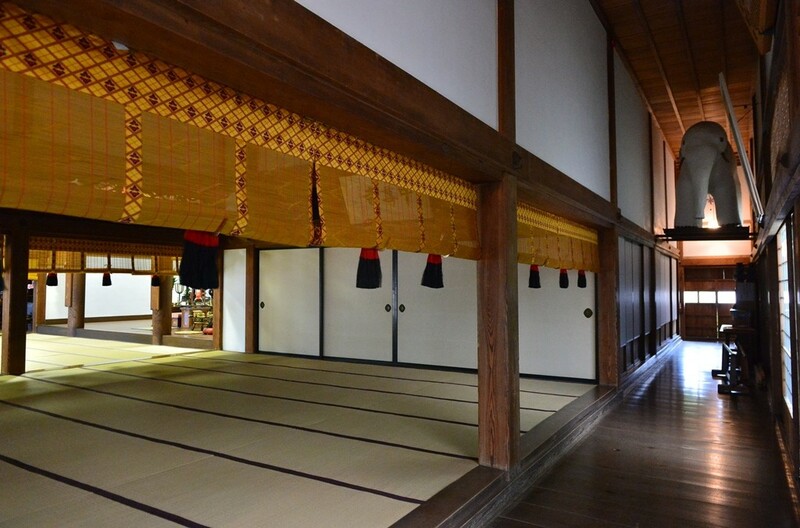 When visiting Chusonji, remember to stop by Hondo, the main hall, the Noh dance theater (Important Cultural Property), and the interior of Konkijido (a national treasure). 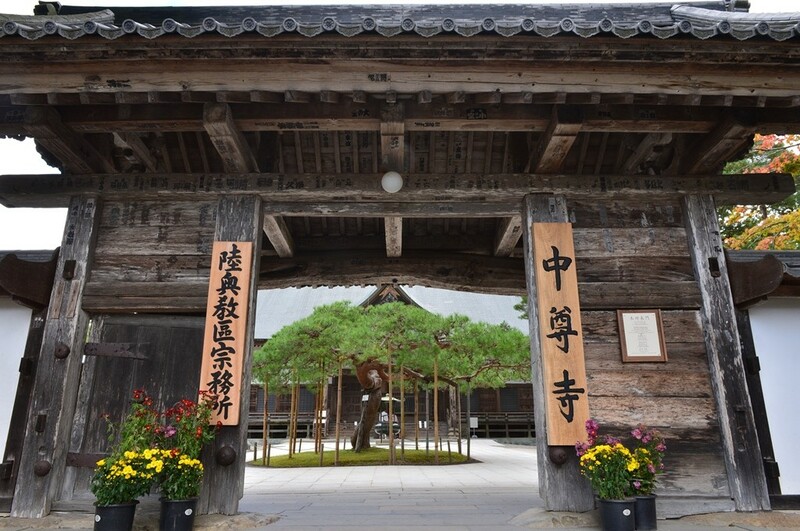 Chusonji is a must see for both first time tourists and Japanese enthusiasts alike. 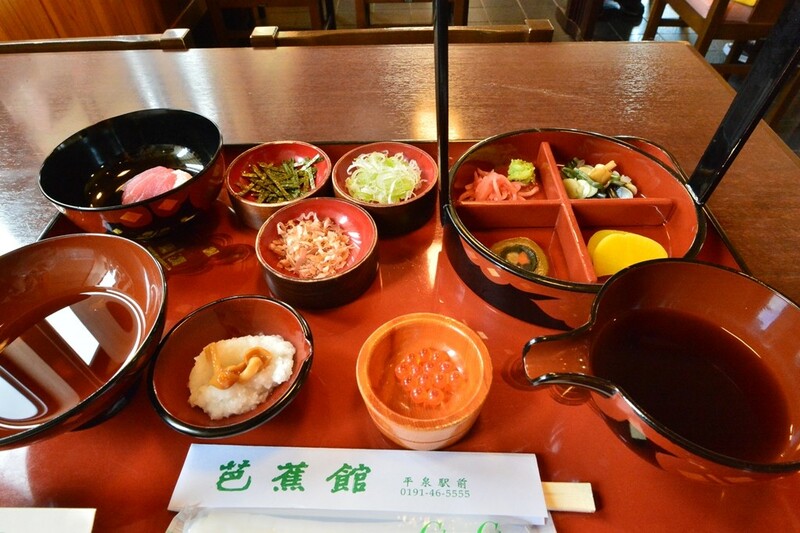 When you visit Hiraizumi, be sure to have Iwate’s most popular dish “Wanko Soba Noodles” for lunch. 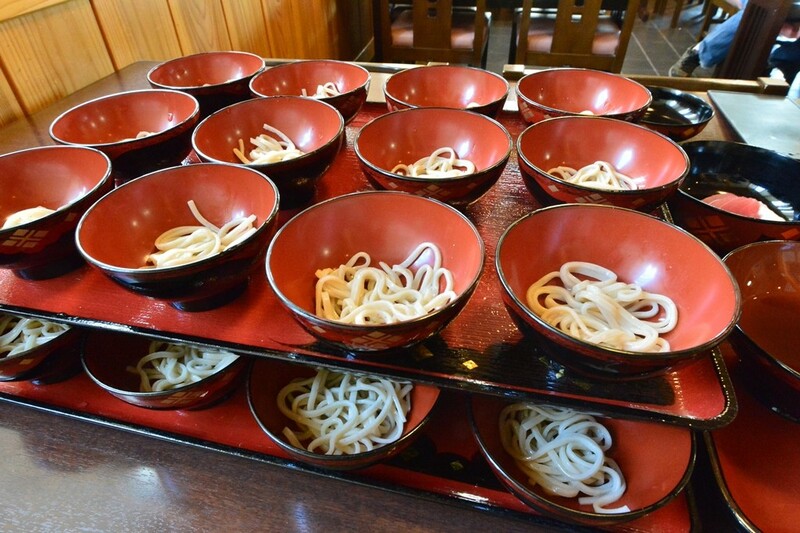 Buckwheat noodles (soba) are served up as a lively eating contest, “all-you-can-eat” style. One portion is one bite size, and they are stacked like the picture above. After every bite, a new portion will be served by the restaurant staff waiting beside you.